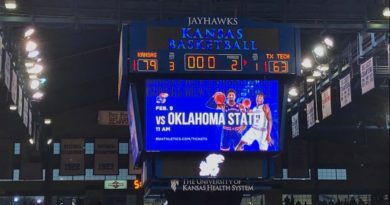 Kansas men’s basketball freshman Kelly Oubre, Jr., has been named the Phillips 66 Big 12 Newcomer of the Week, in a vote by a media panel, the conference office announced Monday. Oubre is the first Jayhawk to capture newcomer accolades in 2014-15 after Kansas defeated Lafayette, 96-69, in its only game of the week. The New Orleans guard made his second start of the season and recorded his first career double-double with career-bests in points (23) and rebounds (10). Oubre was 9-of-15 (.600) from the field, including 4-of-7 (.571) from three-point range and added one steal in 25 minutes of action against the Leopards. Oubre is averaging 13.0 points and 6.0 rebounds in his last three outings. Oubre’s selection marks the 33rd time a Jayhawk has been named Big 12 Newcomer/Rookie of the Week. Last season, KU had three different players earn newcomer of the week honors with Andrew Wiggins, Joel Embiid and Tarik Black. Earlier this season, KU junior Perry Ellis was named the Big 12 Player of the Week on Dec. 1. No. 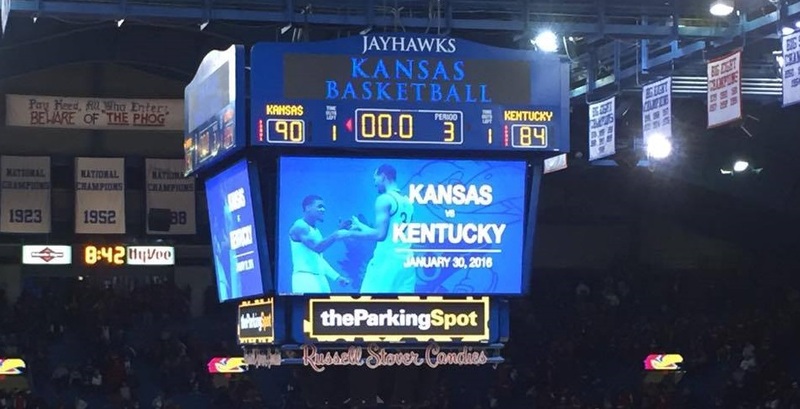 10/10 Kansas (9-1) takes its eight-game winning streak into a road non-conference battle at Temple (7-4) on Monday, Dec. 22, at 6 p.m. (Central) on ESPN2. The game will be played at the Wells Fargo Center in Philadelphia.